“You can’t always get what you want,” Jagger said in 1969. But, if we try real hard, and work together, we might get what we need, Al Almanza and Stephen Ostroff said Monday afternoon. 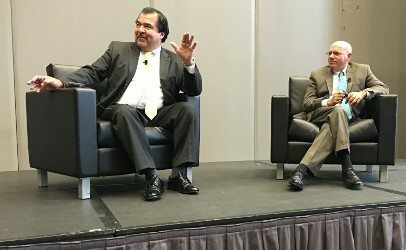 Almanza is the deputy undersecretary for food safety at the U.S. Department of Agriculture, which is responsible for the safety of meat, poultry, dairy and, as of earlier this year, catfish. Ostroff is deputy commissioner for foods and veterinary medicine at the Food and Drug Administration, which has jurisdiction over pretty much all other foods and beverages in the United States. The USDA is already working with many of those entities on Almanza’s list, including the FDA, Centers for Disease Control and Prevention, and the FBI. The latter collaboration relates to things such as food safety at major stadium venues, he said. 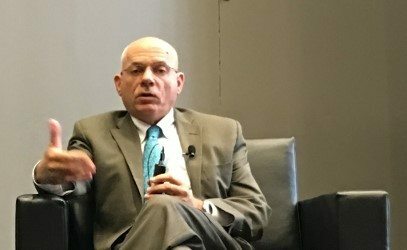 Ostroff, who introduced himself as the guy who has Mike Taylor’s old job, said FDA’s shift from a reactive to preventive approach to food safety, as mandated by the Food Safety Modernization Act, inherently requires the combined efforts of regulators, compliance officers and industry. The FDA deputy commissioner also said it is unlikely that the agency will meet the 2020 target goals for reducing foodborne illnesses. But he said the goals are within reach. Ostroff also acknowledged recent criticism from the Office of the Inspector General that slammed the FDA for not acting faster to recall potentially dangerous food and put it on notice to develop and implement policies and procedures to speed up the process. He reiterated the FDA’s response to the June 2 OIG report. In a June 9 blog post, Ostroff and two other top FDA administrators said the agency agrees it needs to change gears. “We fully agree with the OIG that we must move as expeditiously as possible,” the FDA administrators wrote. “We also agree that time frames should be set, but they must be done on an individual basis rather than by setting arbitrary deadlines. The complexities surrounding recall events make it difficult for the FDA to establish a single timeline applicable to all situations. 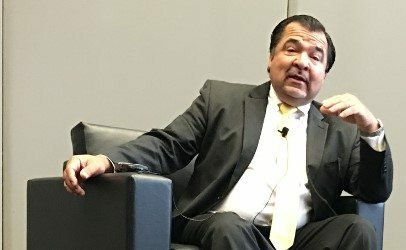 While FDA is spending much of its time and money now and in the foreseeable future on the implementation of FSMA, Almanza said the USDA is also going down the prevention road by moving toward public health inspections and away from performance-based inspections. Some progress already made includes pathogen reduction standards for chicken. Similar work is underway for the pork industry with a swine rule expected soon, Almanza said. Moving forward, USDA plans to include requests for additional funding for whole gem one sequencing in its fiscal year 2017 budget.